The Cactus Trip Diaries focus of course on members of the Family Cactaceae, although as true C&S freaks, we also take an interest in some of ‘the other succulents’. The presence of Opuntia species on Madagascar is well known. 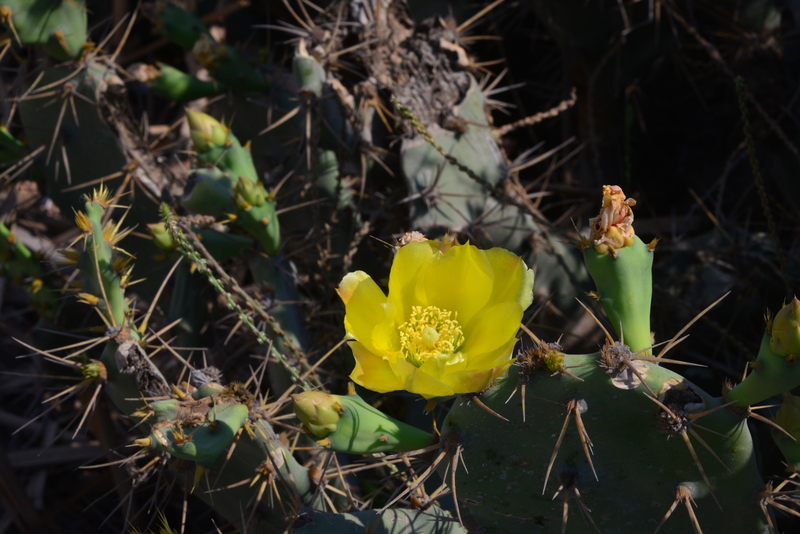 We had been seeing a range of Opuntia along the road, most densely around settlements and villages where, despite the spines, they served as food for cattle and goats, but also, for human consumption. So what is the species that dominates? 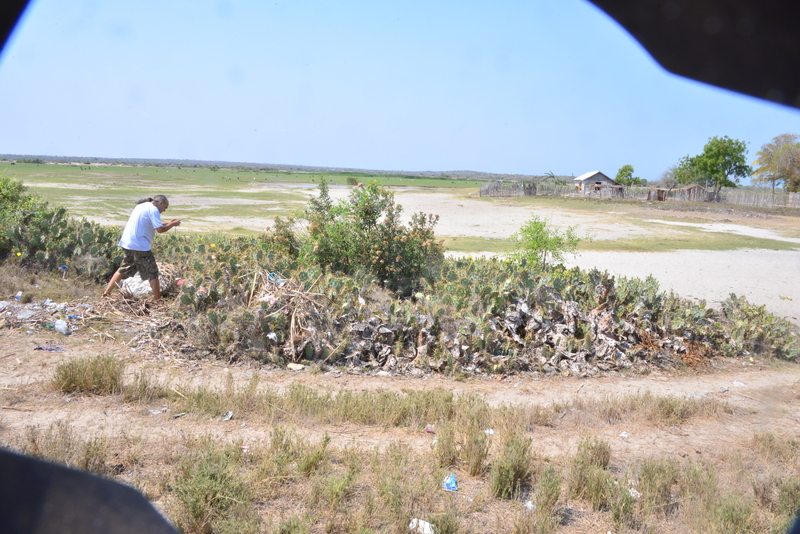 It reminded me of Opuntia dilleni, that we had seen on Cuba. A brief search on the internet suggests that it might be O. monacantha. But it will take some time to resolve the ID, as I fight against time to finish the Diaries before we leave for Cologne in a few weeks time. Both have spread widely outside their ‘natural’ distribution area, although, after many years during which some cacti have been exported to arid areas as cattle fodder, the true origins of the invaders may be difficult, if not impossible, to determine. Their invasive nature is not in question. We only saw one specimen of Cylindropuntia tunicata and that was in a botanic garden. Let’s hope that it remains there, carefully locked up when the gardens close at 5 p.m.
Opuntia monacantha? or O. dillenii? 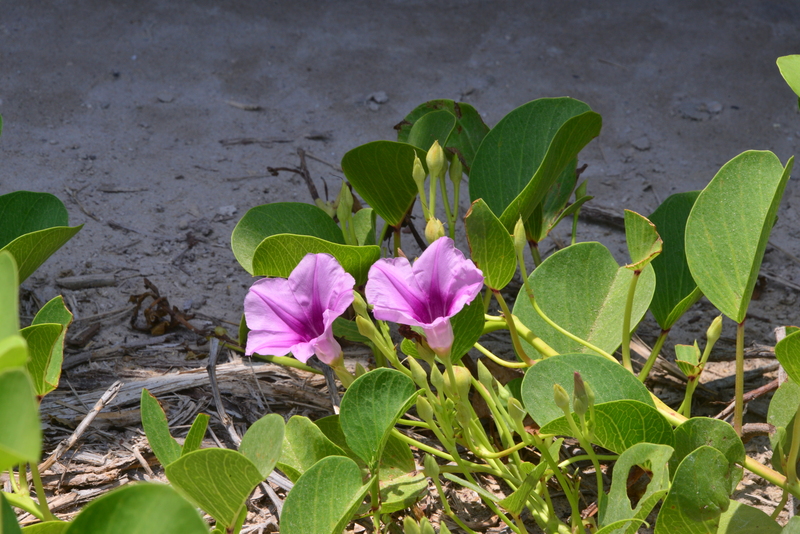 At the next stop, Ipomea bolusiana provided a colourful ground cover plant. Below the ground is a large turnip-like caudex which is often displayed above the soil in cultivation. And of course there were plenty of Baobabs in the dry forest on the edge of a Mangrove forest as we speeded and bounced along a bumpy sand track towards Andavadoaka, our home for the next two nights. We started to see a few baobabs again. The flat arrangement of branches at the top suggest Adansonia grandidieri, but the trees are much more stunted than those that we had seen in and around the Avenue de Baobabs. The conditions here are much drier, and probably have been so for the last 600 years plus, the age of these plants. It seemed to take no time at all to take close to 100 images as I wandered about these giants and apart from the three of us (Nadia stayed out of the sun, in the car) not another tourist or for that matter, anybody else, around. A great experience. We did not have a GPS with us on this trip, but I’m sure that I must be able to find this group of trees on Google Earth, once the Diaries are up to date.